So continuing on with my updates of Manchester Fashion Week, I felt this star deserved a post all of her own! 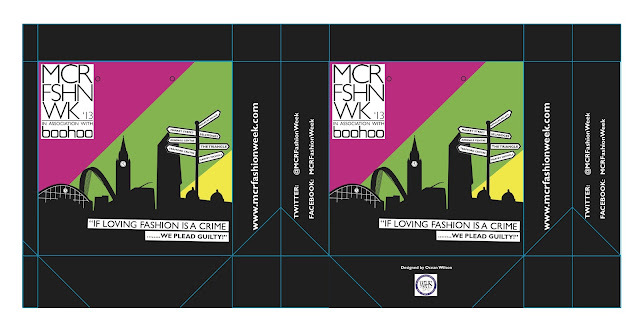 Ocean Williams of Whalley Range High School for girls, is the lucky winner of Manchester Fashion Week's competition in conjunction with sponsors, Duo Plastics, to design the official VIP bag for this years event! 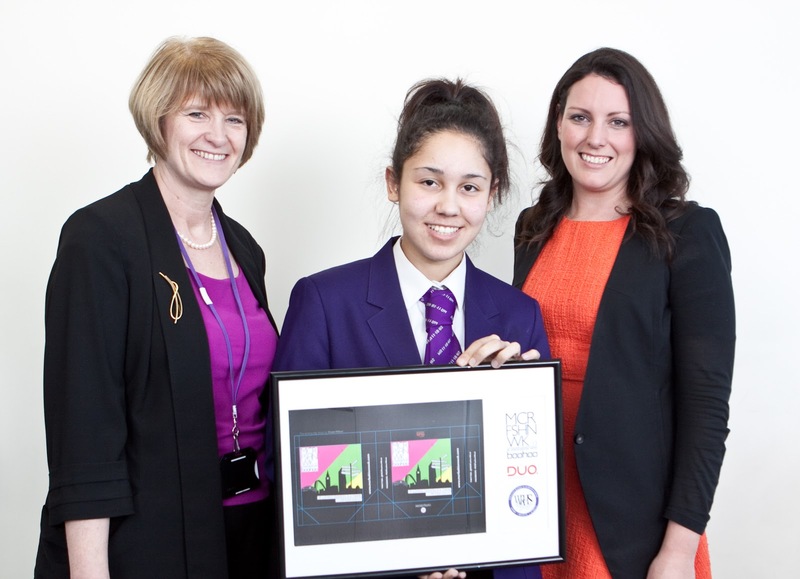 Ocean (aged 14) competed with fellow Whalley Range High School students to create an original and exciting design to adorn the goody bags of this years Manchester Fashion Week's VIP guests. 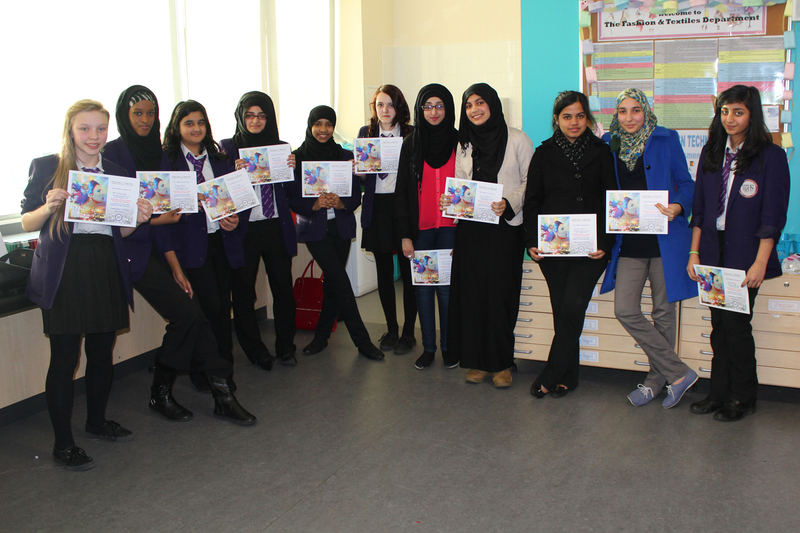 And clearly they chose right, with the 1500 strong girls school not failing to deliver! 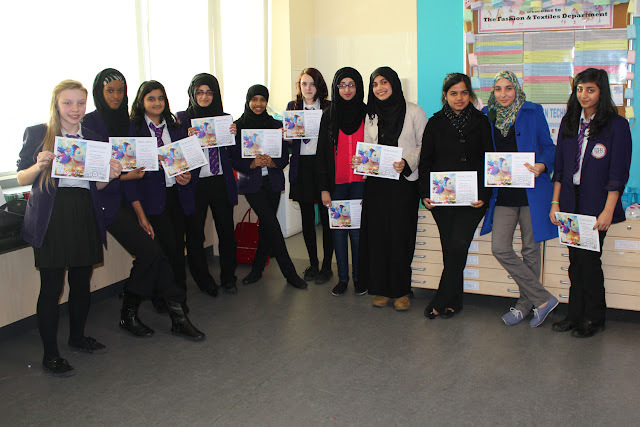 The girls were given a brief to create a design that "epitomises Manchester and reflects its edgy style." According to the MCRFW judges panel the standard was so high they narrowed it down to a final 10 designs before Ocean was crowned the winner! “As a business retail is one of our key sectors – we count leading brands such as ASOS, Boohoo.com and JD Williams among our customers so there’s a natural affinity between us and many of the companies involved in Manchester Fashion Week. In fact we have worked with Boohoo.com, another ambassador of MCRFW from day one and supported them as their business has rapidly grown. “In addition to this, we are a proud Manchester business and we’re celebrating our 25th anniversary this year. The city has been good to us so the way Manchester Fashion Week is nurturing new talent and helping young businesses grow really appeals to us. Most excitingly for Ocean, the design will now be made into an actual bag by the leading Manchester based packaging manufacturer and suppliers Duo UK, who are one of Manchester Fashion Week's main sponsors. How wonderful for her to see her design come to life! This has been a fantastic way of MCRFW integrating young talent into their event. With 2013 marking Manchester Fashion Week's second year, we will see an increase in catwalk shows and exhibition space and with 20% of the 30 catwalks being donated to independent British Fashion Designers, it is providing them with a fantastic opportunity to showcase their work and for us to champion the new fashionistas of the future. Celebrating its 25th anniversary next year, family-owned Duo Plastics UK is a leading manufacturer of polythene packaging. The £25m turnover company, which manufactures all its products at its sites in Manchester and Derby, serves leading brands within the e-retail, mail order, industrial and entertainment sectors. Retail clients include ASOS, Boohoo.com, JD Williams and F&F. For further information visit www.duo-uk.co.uk or call 0161 2035767.